Brammer has nightmares whenever he thinks of the 2012 WSOP $10,000 six-max no-limit hold’em championship. He made it to the final table after many hardships and just fell short of the title to finish in the fifth position. He took home $200,502 payment then. After five years of drought at the final table of the 2017 WSOP, Brammer got his chance to enter the final table of the $5,000 Turbo No-Limit hold’em and he did it really count. He not only entered the final table in 2017, but also went one up to win the event with 30-minute blind levels. Brammer said that he was hurt for losing the big chance to win his first bracelet in 2012 and that hurt feeling stayed on with him for a long time. He also said that he did not get a chance to enter the final table since 2012 despite making all efforts. Brammer said that the turbo tournament was a quick one as the blinds went up very quickly. There were a lot of all-in action and he was happy to have won most of them. A total of 505 players took part in the championship and this created a prize pool of $2,348,250. 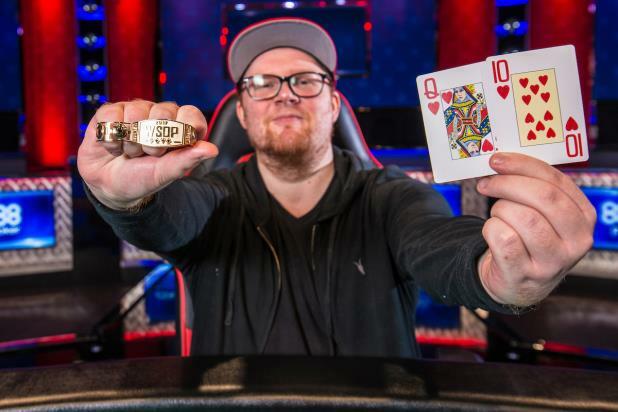 As this was a turbo event, the championship lasted for just two days and Brammer finally won the event to take home $527,555 first place money and his maiden gold bracelet.